This course is designed for children of infant age (5-7). It has been produced to educate children about equality in the classroom as well as teaching them from a young age that everybody is different and respect should be shown to other people no matter who they are and where they come from. It is for parents to consider that their child may come across different children with different backgrounds and cultures to themselves. It is for children to appreciate the different cultures around them and to learn some fun and interesting facts of cultures in which they may come across in their classroom or outside of school life. Please view the video below which will help you and your child understand the meaning of equality and give a sense of what it means to be in a world surrounded by different people. Parent Guide - You are the teacher! It will be your job to lead your child through the course. There will be 5 different countries for your child to learn about namely; India, Poland, America, Italy and China. Each topic will contain some fun and interesting facts about each country and will be an enjoyable learning experience for both you and your child! There will be a small description of each country for you to read followed by facts of the country. It is up to you as to how much information you teach your child, obviously the amount of information given will depend on the age and abilities of your child. At the end of the course, there will be a quiz and some activities which will ultimately test your child's knowledge on the countries he/she has just learnt about. India lies south of Asia and is the 7th largest country in the world. India gained its independence in 1947. Economically, the Indian population rely on agriculture as a main occupation. Please click on the lesson below to teach your child some interesting facts on India. If you wish to read more about India, there is a link provided below. 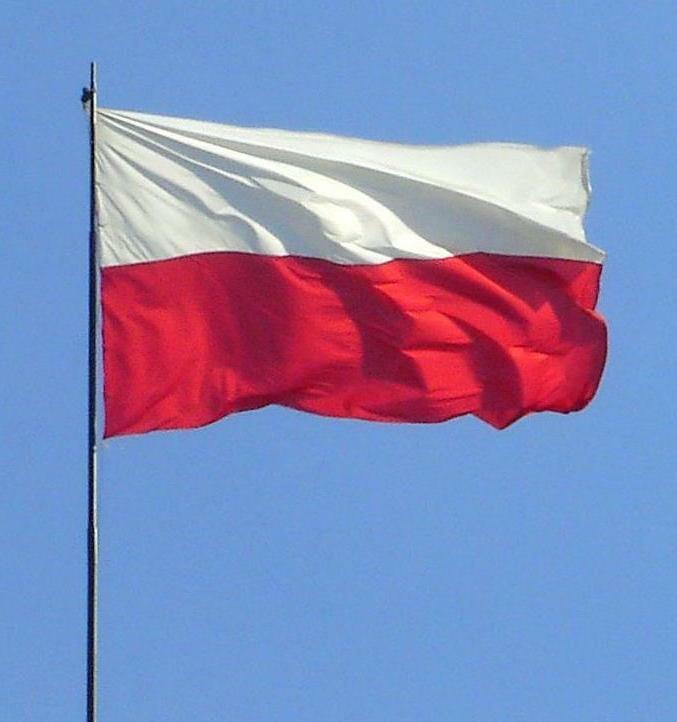 The Polish flag; consisting of two horizontal stripes, white and red. Poland lies in the east of Europe and is the 9th largest country in Europe. Poland shares its borders with seven countries namely; Russia, Lithuania, Belarus, Slovakia, Ukraine, Czech Republic and Germany. It is a country containing 9300 lakes and 23 National Parks. One of America's famous landmarks; the Statue of Liberty. America, also known as the United States of America (USA) lies on the continent of North America. 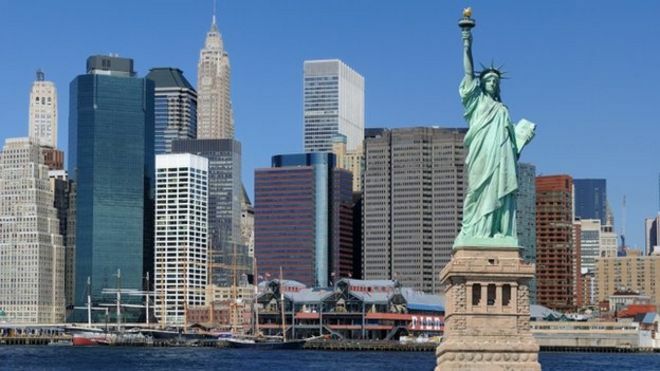 It is the world's fourth largest country and is home to famous cities such as Los Angeles, Las Vegas and New York City. The USA is a diverse country with a multi cultural society and has the world's largest economy. The lesson below provides some interesting facts about America for your child to learn and there are some links available if you want to know more about America. America is known for its famous national anthem Star-Spangled Banner and below you click on the link to listen and sing-along! This is a map of Italy. It is most famously known for having the resemblance of a boot kicking a ball. Italy is a European country with a population of 60 million people. The Mediterranean Sea surrounds Italy. Italy is known for its beautiful cities such as Rome, Venice, Florence and Milan. 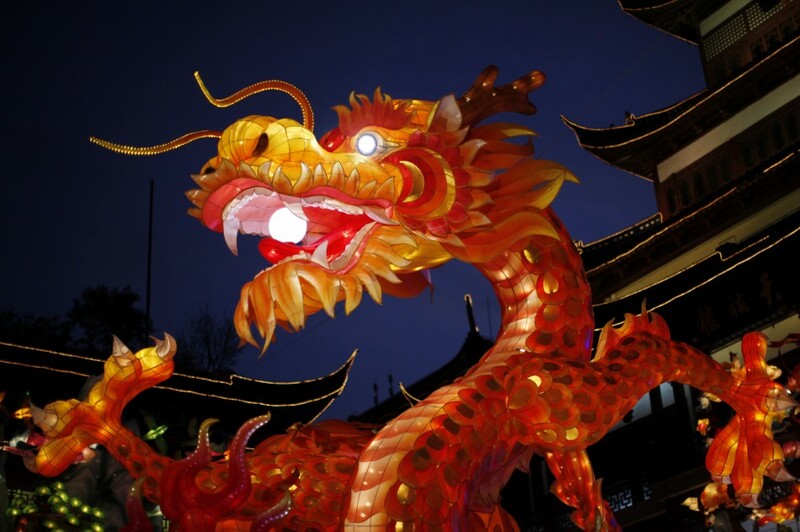 The famous Chinese dragon which the Chinese symbolise as strength, power, good luck and fortune. China is located in the East of Asia and has the largest population in the world with over 1.3 billion people living there! China is known for its many rivers and the longest river in Asia, the Yangtze River runs through China. Click on the lesson below for more facts on China to teach your child and if you want to know anything else about this fascinating country then click on the link provided below.